Printed Catalogs are still the weapon of choice for manufactures – for B2B sales at tradeshows, and as a leave behind on sales calls. 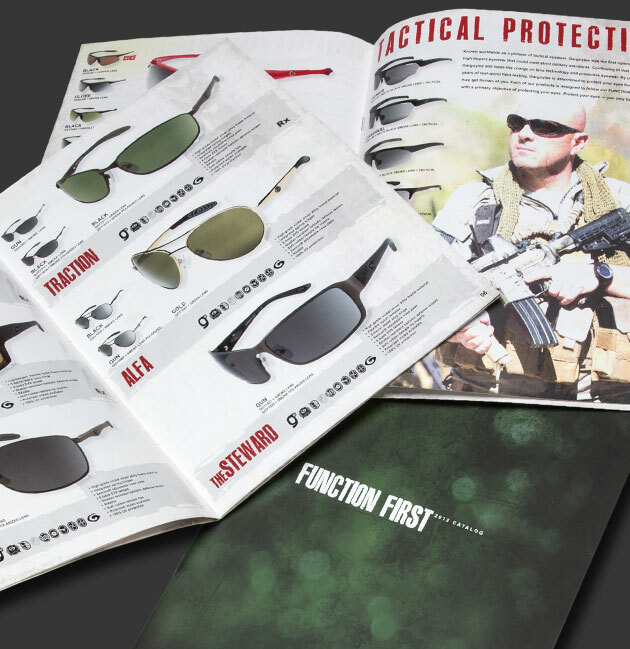 We designed this stunning Gargoyle catalog to be functional for product ordering, as well as reinforce the lifestyle behind Gargoyles eyewear. Multiple action and lifestyle shoots were executed for the catalog, along with video production, which was created for the Gargoyles YouTube page.